The 1920 U.S. Census measured 506,417 people in the Mountain Resources Commission (MRC) region – 19.8 percent of the state’s total. The MRC region’s population has grown at an average annual rate of about 1.87 percent since 1920, significantly less than the state’s average annual population growth rate of 3.02 percent over the same period. A century ago, the MRC region had a population density of 45.1 people per square mile, while statewide there were about 52.5 people per square mile. Henderson (485 percent), Caldwell (316 percent), and Burke (290 percent) counties have experienced the most population growth since 1920, while the populations of Madison (3.4 percent), Swain (5.7 percent), and Yancey (18.1 percent) counties have increased the least. 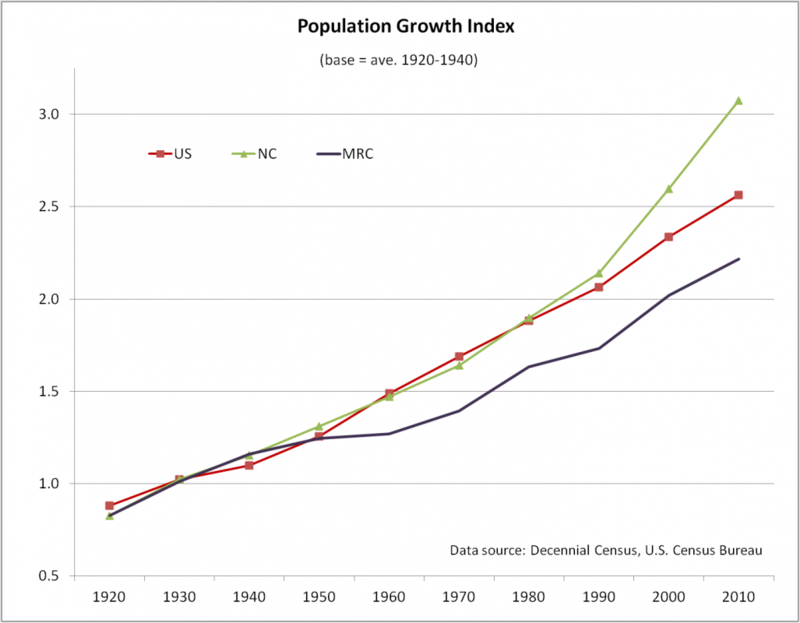 The population of the MRC region has not kept pace with either the national or state growth rate during the past century. 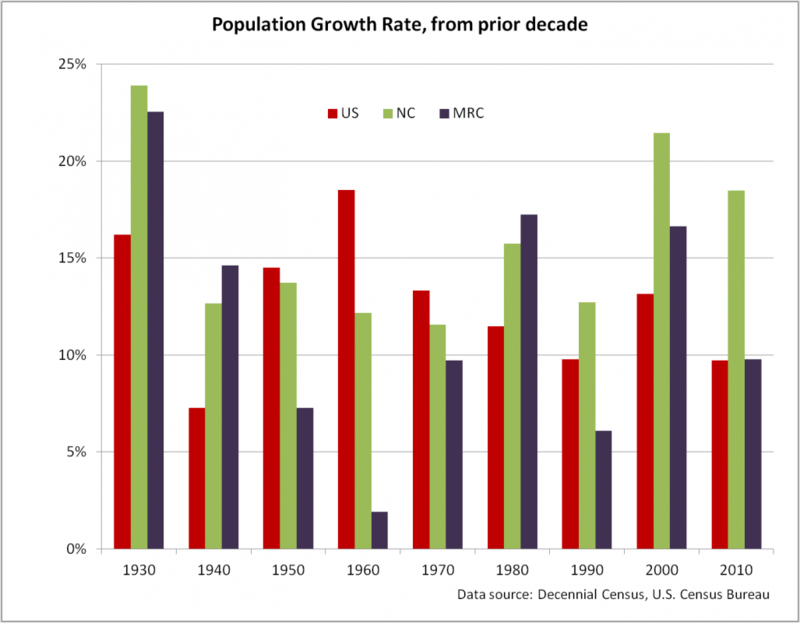 North Carolina’s population grew at about the national rate up until 1990, when the state’s population grew considerably faster than the nation’s. The population growth rate in the MRC area declined for decades starting in the 1920s, bottoming out with the population of MRC counties growing only 1.9 percent during the 1950s. 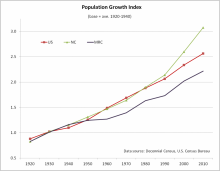 However, the region’s population regained some ground during the 1960s, and population growth in the region actually outpaced both the state and nation during the 1970s. 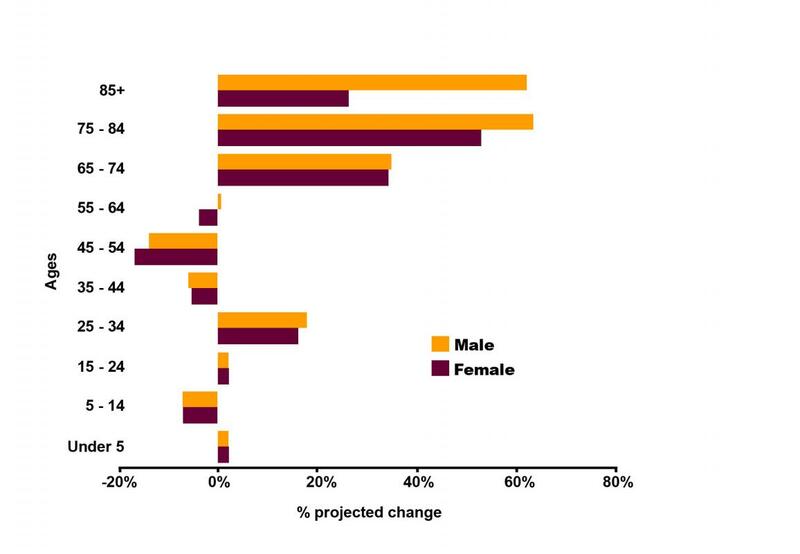 As Western North Carolina’s resident baby boomer generation ages, projections into 2025 show vast increases in the older populations of individuals. The need for health priorities changes as particular medical resources are required to treat or care for the health challenges that arise with age. With expected increases in aging populations within the next 15 years, efforts to provide sufficient access to care, specialty clinics, and preventative treatment become a regional priority. The projected estimates for Western North Carolina show small growth in the young and middle-aged populations, while the 65+ age groups are projected to have significant growth, likely increasing the region’s median age. 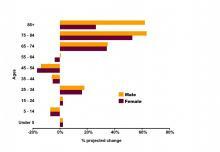 For additional information on median age in Western North Carolina, see Median Age.